Trendy Cozy Cottage In Paradise / ¡A menos de 1 milla de la playa y la ciudad! No hay hoteles dentro de los 30 minutos, ¡pero TÚ puedes quedarte en la hermosa Kailua! Encantadora casa de campo acogedora en una ubicación impresionante en el corazón de Kailua. Tenemos muchos restaurantes deliciosos, boutiques locales de playa, cafeterías y playas a menos de una milla de distancia. "Estudios de yoga, bares de zumos y boutiques en la playa se alinean en las calles de la tranquila ciudad de Kailua. El mercado de agricultores del jueves por la noche ofrece una variedad de golosinas cultivadas localmente: café, miel, frutas tropicales y novedades como espárragos de mar. La playa de Kailua y la playa de Lanikai, al lado, son dos de las mejores "
Nuestra cabaña temática con playas es perfecta para su escapada a Hawai. Kailua lo tiene todo, con mucho menos ajetreo + que Waikiki. No hay hoteles aquí, solo playas hermosas, espíritu generoso de aloha, excelente comida y un clima increíble. La casa es una extensión privada de nuestra casa familiar. Tiene su propia entrada independiente por una pasarela privada y una almohadilla de bloqueo para su comodidad. Se limpia y se actualiza impecablemente para cada nuevo huésped. Baño completo con ducha de pie. Mesa de cocina para 2 personas. Cómoda + estanterías para guardar tu equipaje. Pequeño refrigerador para llevar contigo en tus aventuras. Todo en casa es moderno, moderno y bien cuidado. Aparcamiento en la calle si decides alquilar un coche. Tenga en cuenta que estamos cerca de una carretera muy transitada y también tenemos niños. Generalmente no estamos en casa, pero si buscas un silencio completo (¡lo conseguimos!) puedes considerar otro lugar El nuestro es un gran negocio en una excelente ubicación, por lo que si son buenos para usted, ¡por supuesto que estamos contentos de recibirlo! Parada de autobús justo en la puerta de enfrente. Ducha de pie, inodoro, lavabo. Será abastecido con papel higiénico. Perfectly described. Nice location in a beautiful city. Close to beaches. We loved the simple charm. Great stay, we would definitely stay here again. Hey there! We've gotten many reviews and are surprised to see your dissatisfaction. I checked in with you during your stay and you replied " Good morning, this is Walter (Buck) and Sheila. We are doing well here at your guest house. The place is great and meets all our needs. Nice location." I would have gladly addressed your issues had I known otherwise, sometimes stuff happens during a guests stay and we are always quick to fix it. We want you to have the best time here and try and think of everything to make you feel at home. Parking is stated, yes you do need to park just beside our neighbor. We wish you could park in the driveway, but unfortunately, it's not big enough. Street parking is noted in the listing as well as your welcome email. We also suggest for you to pull up along the gate to load and unload to make it easier. We did see some ants when our cleaning team went in there after you had checked out. Unfortunately, there was food all over the floor and on the bedding. Here in Hawaii, if you leave food out the ants will find it. We have the unit sprayed regularly so ants are not generally a problem. Thank you for mentioning the ants, we'll be sure to include this info in the rental information also for future travelers. Wish you and Sheila all the best. We loved staying at Enchanted Lake. 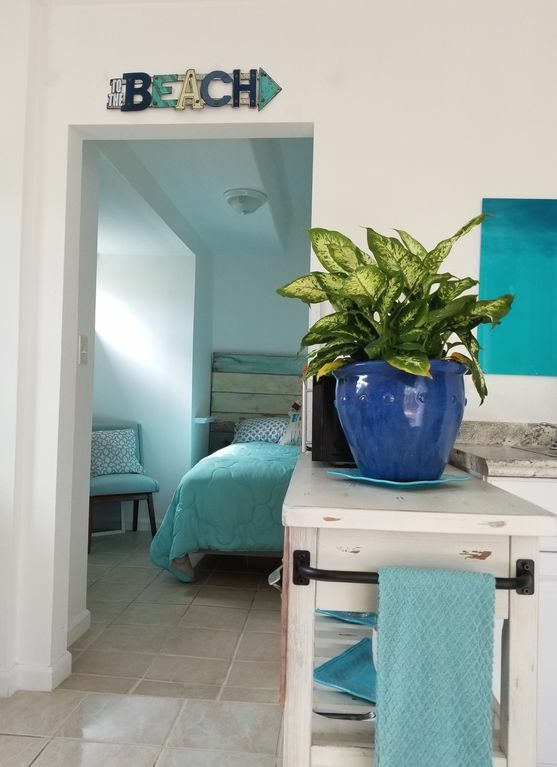 The location is close to central Kailua and the beach, shopping, and restaurants are all easily walked to or a short ride away. The place had more space than we expected, and the amenities such as the outdoor shower we used many times when returning from the beach and hikes. Karen was very responsive when we reached out to her and checked in with us to make sure everything was going well. We would definitely stay there again. Clean little place. Karin is very friendly and willing to help in any way. We enjoyed our stay. The unit was clean and decorated very cute. Parking is a tad bit inconvenient but not horrible. Very noisy being on the main road. Bathroom is extremely small and shower is small but overall great! What a great trip for you and your daughter! Was wonderful having you both. Come back anytime, all the best! Wonderful stay - very relaxing and great host! We loved out stay in Kailua. The Cottage was very practical, cute and clean. The bed is SO SO comfy!! Easy walk to town, or to the beach. Parking next door was literally across the room and very easy. Property is cozy as the title says however it was exactly what we needed, in a good spot. Ashlea thank you! Was a pleasure meeting you both! Glad you enjoyed your time here in Kailua. Come back anytime! We loved our time in Karin’s beach cottage. It was clean and the perfect size for two adults. Karin was so helpful and responsive as a host, even helping us with issues unrelated to the cottage. We would definitely stay again!